The Rev. Dr. Don Dempsey graduated from Coe College in 1965, where Dr. Joseph E. McCabe was President. The McCabe’s and the Dempsey family have been close friends ever since Don’s college days at Coe. Don went on to graduate from McCormick Theological Seminary in 1968 and was a Presbyterian minister for ten years serving churches in Indiana. During that time he graduated from Louisville Presbyterian Seminary with a Doctor of Ministry degree in Pastoral Counseling. In 1979 he changed careers and worked at Continental Illinois National Bank in downtown Chicago. In 1983 he was appointed a Personnel Banking Officer. In 1984 the bank almost failed and his job was one of the positions that was downsized. During the next 18 years Don served for 13 years in Chicago as an Outplacement Career Counselor; 3 years in administrative positions at McCormick Theological Seminary, and 2 years at Coe College as the Director of Foundation Giving. 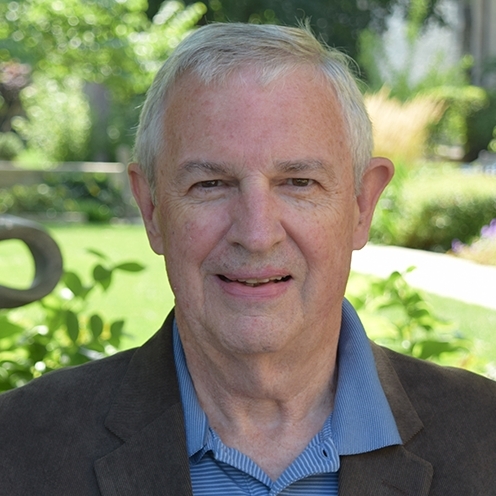 In 2002, Dr. Dempsey returned to the ordained ministry as an Interim Associate Pastor at the First Presbyterian Church in Lake Forest, IL (5 years). Since that time Don has served as the interim pastor at Winnetka Presbyterian Church, Winnetka, IL (6 months); First Presbyterian Church in Michigan City, IN (28 months); Palatine Presbyterian Church, Palatine, IL (17 months); Kenilworth Union Church, Kenilworth, IL (13 months); and Park Ridge Presbyterian Church, Park Ridge, IL (7 months). This past year Don completed his seventh interim at the First Presbyterian Church in Wilmette, IL. He is now retired and living in Highland Park, IL. Don and his wife Meg have been married 47 years. Meg is a retired human resource administrator who worked for over 20 years at the National Futures Association in Chicago, IL. They have two adult children, Brian, who is married to Jenn and Becky, who is single; both Brian and Becky live in Chicago’s western suburbs.